As mentioned in podcast 15 we are starting a couple of gun rescues. 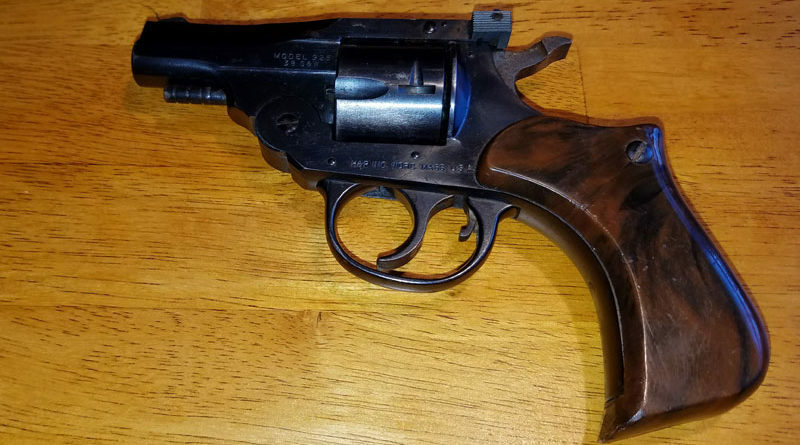 The first of which is Bwana’s H&R 925 in S&W 38 cal. It has seen some better days but more importantly represents an excellent example of the kind of project we enjoy talking on. It looks pretty great, right? Well, honestly not really, let us take a little closer look. 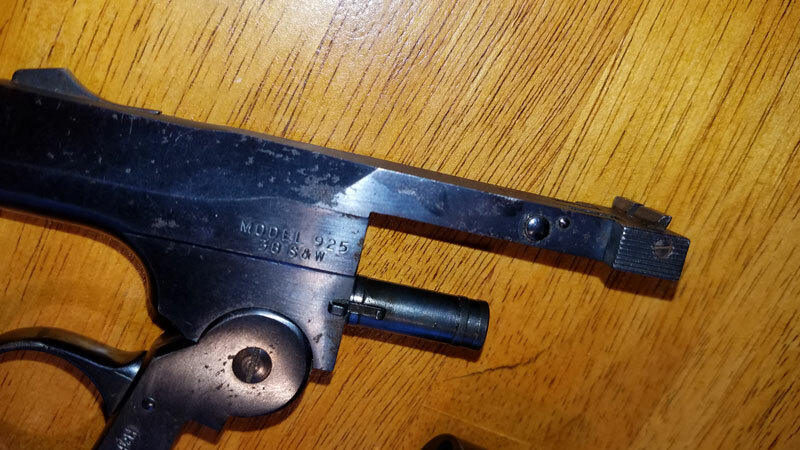 As you can see this model 925 is a fine example of an older snub nose revolver. 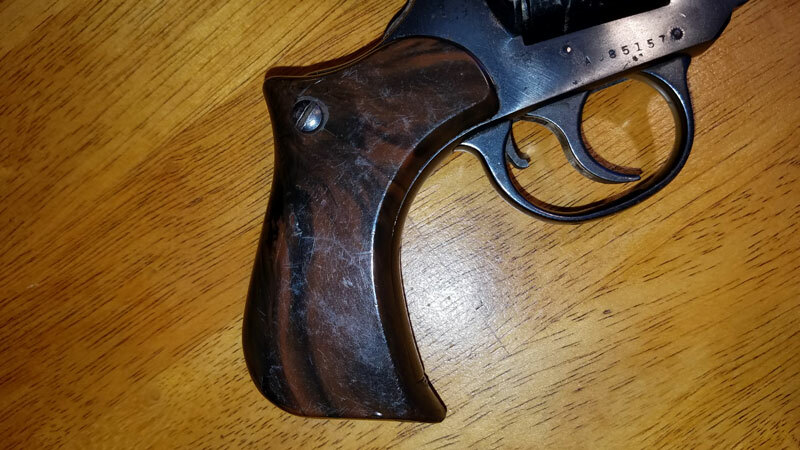 It has a 2.5″ barrel and as was sometimes the style back when this gun was popular – features plastic wrap around grips. The pictures actually do this rig a little more justice than it might truly deserve. There is a great deal of rust all over this gun and surface pits are nothing out of the ordinary for it. The closer one gets to the surface the worse it really looks. The plastic grips absolutely need to go. While they do still technically work in that they wrap around the handle and cover the inner workings, they also tend to give off that awesome ‘$10 flea market vibe’ with all the wear and surface scratches on the grips. Looking like a rather worse for wear cap gun is kind’ve an issue for us so Bwana intends to fix this. We really aren’t kidding that the closer you get the worse it is. 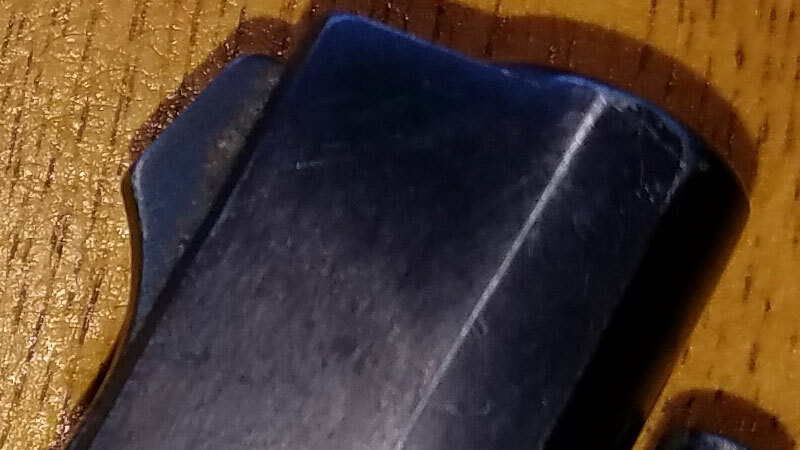 Check out the rust in the crease of the sights and the wear on the edges of the barrel. From a distance, you can’t even see it but this kind of issue is all over the gun. The next step after the obvious purchasing of our project guns is stopping the rust. In our next installment for our 925 rescue, we’ll begin with that process.